Dr. Paul M Simic, MD is a Doctor primarily located in Thousand Oaks, CA, with other offices in Van Nuys, CA and Simi Valley, CA . He has 21 years of experience. His specialties include Orthopaedic Surgery of the Hand, Surgery of the Hand and Orthopaedic Surgery. He speaks English. Dr. Simic has received 3 awards. The overall average patient rating of Dr. Paul M Simic is Great. Dr. Paul M Simic has been rated by 72 patients. From those 72 patients 22 of those left a comment along with their rating. The overall rating for Dr. Paul M Simic is 4.5 of 5.0 stars. This Doctor is very good, he is not in a hurry, explains things carefully and he isn’t afraid of making suggestions. He is not condescending. He is very good in doing joint injections. I would use him definetly for surgery if I need to. Dr. Paul Simic is one of the best doctors I have ever met. He is very patient, and he is and expert in the medical field he specializes in. He is also my dad. Every step of the way in this process, Dr Simic and his staff have been very helpful. They explained the process and recovery, as well as reached out to follow up with how I was doing. Take a minute to learn about Dr. Paul M Simic, MD - Surgery of the Hand in Thousand Oaks, CA, in this video. Dr. Paul M Simic is similar to the following 4 Doctors near Thousand Oaks, CA. 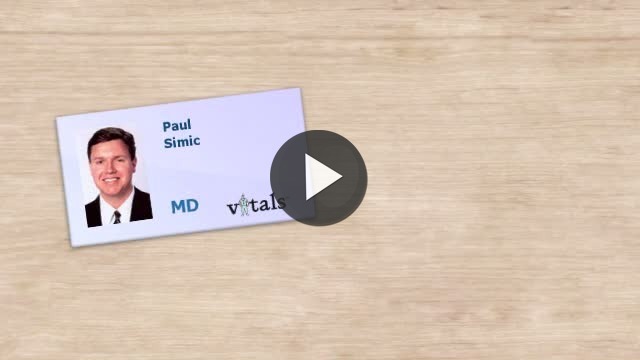 Have you had a recent visit with Dr. Paul M Simic? Select a star to let us know how it was.